Mid-morning, when the dew has dried, is the perfect time for harvesting. Rinse your herbs with cool water, shake to remove most of the water and place in a sunless airy spot to dry. 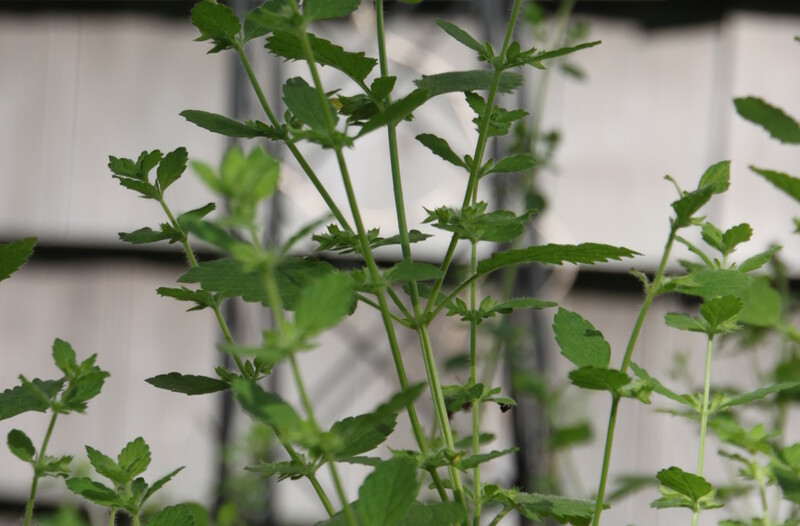 Some herbs have a higher moisture content than others. 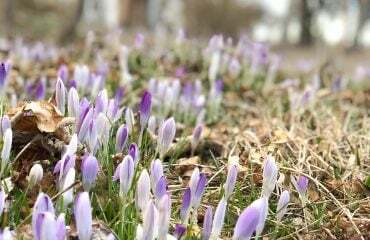 For those, three different techniques are recommended; hang small bunches upside down enclosed in a paper bag, oven dehydration and freezing. I have listed a guide for you at the bottom of this post. 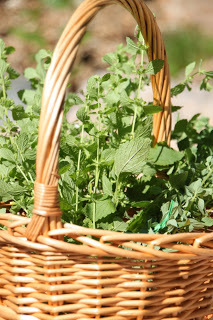 Today I harvested chicken friendly oregano and creeping thyme and also lemon verbena for making soap. With a pair of sharp scissors, I cut 12″ stalks, rinsed then dried them. Using twisty ties, approximately 2 inches from the end, I bound them. 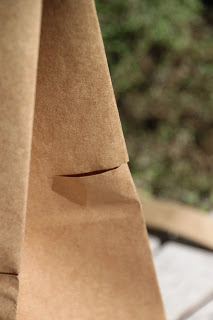 You can also use rubber bands, ribbon or twine for this purpose as well. 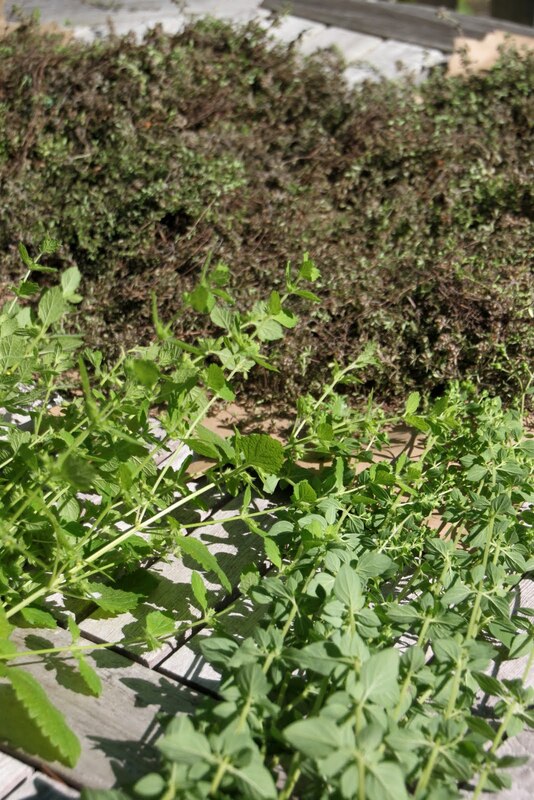 These herbs will hang in a cool dry place out of direct sun. My garage is perfect. As the creeping thyme is unable to be tied, it is best dried in a paper bag. With a pair of scissors, I cut a few slits along the sides. 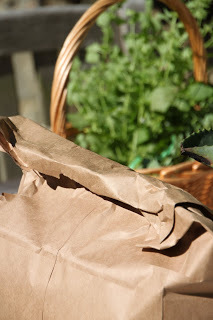 Ensuring that the thyme is dry, I placed it in the paper bag and then rolled the top shut. 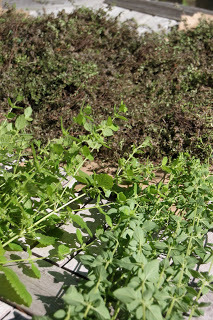 The thyme will dry nicely and any seeds that are on the plant will fall into the bottom of the bag. If I choose, I can sow them during next Spring. The herbs are completely dried, once their crispy leaves crumble between your fingers. 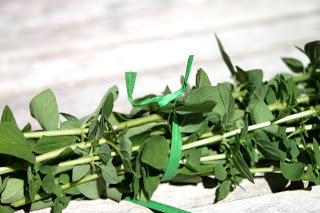 To store the dried herbs, remove the leaves from the stems and crumble them into a plastic or glass airtight container. Your dried herbs can then be added to your cooking and soap making throughout the Fall and Winter seasons. 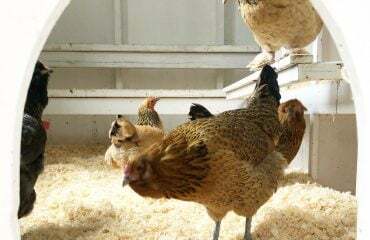 The dried herbs that are safe for your chickens to eat, can also be added to their nesting boxes. Never add fresh herbs to their nesting boxes, as they can mold. 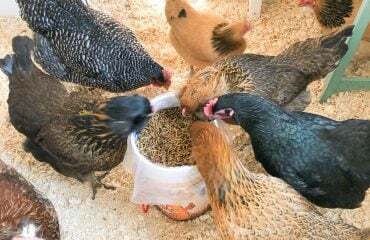 Mold can be harmful for your chickens if ingested or inhaled. Drying herbs is easy and rewarding especially when their delightful fragrances take you away from wintery snow, crisp cold air and gloomy grays. Dried herbs are three to four times more potent than fresh herbs. So don’t forget to adjust your recipes to account for this difference. 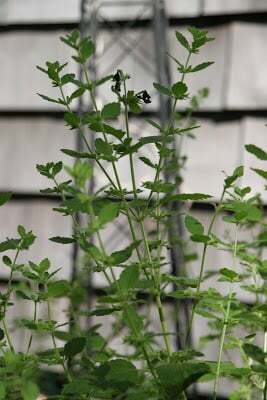 To read more about growing a fresh herb garden for your flock, click here.